Somewhere on the frontier between thought and reality exists the Discworld, a parallel time and place that might sound and smell very much like our own, but that looks completely different. It plays by different rules. Certainly it refuses to succumb to the quaint notion that universes are ruled by pure logic and the harmony of numbers. But just because the Disc is different doesn't mean that some things don't stay the same. The Colour of Magic, the first novel in Terry Pratchett's wildly imaginative Discworld series, takes the listener on a remarkable journey. The magical planet of Discworld is supported by four massive elephants who stand on the back of the Great A'Tuin, a giant turtle swimming slowly through the mysterious interstellar gulf. The adventure begins when an eccentric expedition sets out to explore the planet. The group, including an ineffective wizard and a naive tourist (whose luggage moves on its own little legs) encounters dragons who only exist if you believe in them, and, of course "The Edge" of the planet. Browse more of our novels of Discworld. What would have made The Colour of Magic better? story was fine - but both the narrator and audio were distracting. I didn't finish listening to it. Who might you have cast as narrator instead of Nigel Planer? Stephen Fry is a superb reader and narrator - he would read these fabulously well! Poor sound quality and the story seemed to get lost with each new chapter. 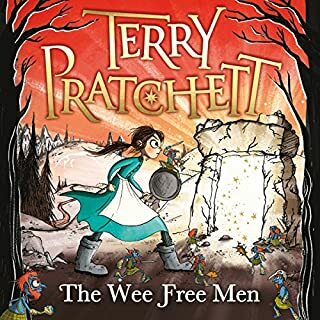 This was my first Terry Pratchett book, the story was entertaining but I doubt that I could sit through another book. Fantastic story! Absolutely love this book and bought it as an audiobook to listen to when driving... there lies the problem. The sound is very scratchy (at no fault of the vocal performer). Lots of background noise and very sketchy volume. Was not a joy to listen to at all. If this was recorded properly it would have been fantastic! Fantastic story, but narration quality varied at times. Loved the characters and their adventures. Would you listen to The Colour of Magic again? Why? No. I would read it, but I found the quality of the audio book to be too off putting. The narrator was brilliant. Different voices, strong voice. Good story but bad copy. I rather enjoyed the story and would whole heartedly recommended it to anyone starting out into the disk world series. The one thing that let it down was the quality of the copy. Narration was excellent but sound quality was exceptionally poor. Very entertaining story, and works well as an audiobook. Nigel Planer does a really lovely job of reading this. I've waited for so long to read the first Discworld book. It didn't disappoint. Especially nice that Nigel Planer read it to me. A throughly enjoyable, funny book. The narration is excellent. Unfortunately the sound quality is appalling! Varying volume, a constant hum and scratchiness. This terrible recording really detracts from a great book. What did you love best about The Colour of Magic? What was one of the most memorable moments of The Colour of Magic? Have you listened to any of Nigel Planer’s other performances before? How does this one compare? Would you try another book from Terry Pratchett and/or Nigel Planer? I want the whole series. What other book might you compare The Colour of Magic to and why? Terry Pratchett doesn't need any comparisions. Who would you have cast as narrator instead of Nigel Planer? I actually can't really evaluate the narrator due to poor audio quality. What character would you cut from The Colour of Magic? Audible must be pretty desperate to even consider selling this audio book. The audio quality is the worst I have ever experienced. This was very difficult to listen to, and I couldn't take more than ten minutes of the recording. For me, the concern about audio quality turned out to be unfounded. One of the characters, and in fact the opening narration use an echo to create a particular soundscape. That can make it a little tricky to hear, given the age of the recording. The bulk of the recording is completely normal spoken word, with no problems. Everything about this was great, save for the recording quality. It sounds almost as though it had been pulled from the original audio cassettes. The quality is also inconsistent, as it changes from chapter to chapter. 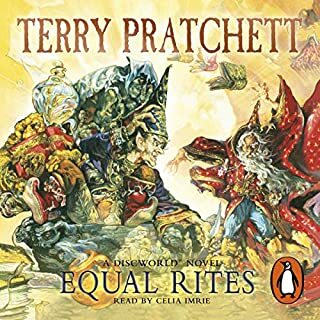 I love Discworld, and I hoped to be able to continue enjoying it after switching to audiobooks. Unfortunately the only unabridged version is in desperate need of remastering to be even slightly enjoyable. I have no problem with Planer as a storyteller, but I do have a problem hearing him over the background noise. Storywise and performancewise, I have no complaints, but the audio quality was very uneven. It must have been transferred from som old cassette recordings, where some of the cassettes were of very poor quality. I really loved the optimistic and daring view of life that was displayed by the tourist, Twoflower. Death is also a very interesting character! Which character – as performed by Nigel Planer – was your favorite? I think it's a tie between Twoflower and Death. Was The Colour of Magic worth the listening time? Yes, despite the poor quality, I really enjoyed listening to it. I love this book and the naration is great. The audio quality is poor though and there are distinct switches in tone at times. Nigel Planer does his best to make this catastrophe worth the credit or money spent on it but even he is unable to save it. Truly horrible audio quality, sounds like he's standing in an echo chamber. 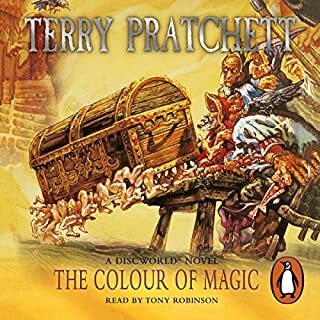 Would you consider the audio edition of The Colour of Magic to be better than the print version? What three words best describe Nigel Planer’s performance? Excellent, cunning, clever. Alas, the audio quality is abysmal! The audio quality of this recording is miserable. There is plenty of white noise throughout the recording which make this a very unpleasant experience. 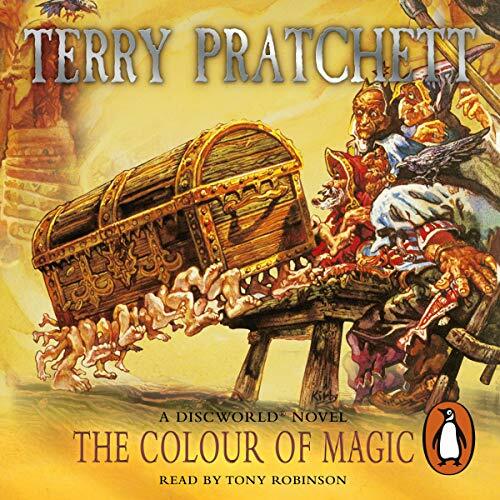 Colour of Magic is a great book but the sound quality of this audiobook is dreadful. Really not up to Audible's usual standard. I'm surprised by this and disappointed. Great story with good performance from Nigel Planer too. If you have never read or heard Terry Pratchett before don't start here because it will put you off. As the first in the Discworld series, this is arguably the most important book of the lot (would the others have happened without this one?). But honestly, it's not the best. The brilliant style and clarity of the later books is yet to settle down, and this - by comparison - is a little muddling. However, a poor book by Terry Pratchett is a very great deal better than the best work of many other authors. 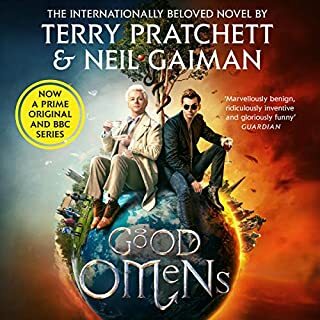 I would highly recommend this book to anyone wanting to complete the Discoworld series, but for anyone new to Discworld - I'd suggest starting a few books in and come back to this one once you've fallen in love with them. I very much enjoy Nigel Planar's performance, although the sound quality isn't A1 - it sounds like a recording of a cassette playing on the other side of the room. Having been captivated by the Guards series from Discworld, this was disappointing. However it may have been better with a better delivery and recording - strange interval noises were very distracting and an echo on some sections may have sounded a good idea but did not work and made it difficult to hear. unfortunately this gave poor sound reproduction. not sure why but spoiled my enjoyment (a bit). Nigel Planer was perfect the narrator for this wacky tale. It felt like hitchhikers guide to the galaxy, only with magic instead of space travel. This is not a quality recording. Audible should not be selling this substandard audiobook. The story might be wonderful but I gave up after 15 minutes because the recording is so bad - I missed words and phrases. Sort it out Audible! What did you like best about The Colour of Magic? What did you like least? I like the humour, the light heartedness, and many of the characters. Also enjoy Planer's performance. I liked the quality of the recording the least. This is not up to Audibles usual standard, unfortunately. 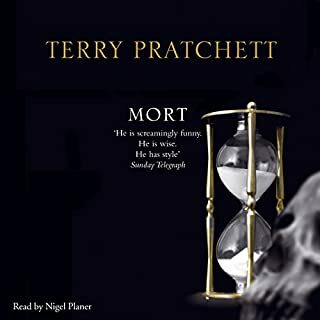 If you’ve listened to books by Terry Pratchett before, how does this one compare? I listened to The Light Fantastic right after this one, and I must say I liked the second book better than I liked The Colour of Magic. I can't quite pinpoint why, I'm afraid. Maybe I like the characters from the second part better... Or maybe the author has more room to be playful and creative when the stage is set and the protagonists introduced. Either way - the first one is alright, but The Light Fantastic is what convinces me that this series deserves its popularity. Which character – as performed by Nigel Planer – was your favourite? I think Planer did a brilliant job with all of the characters - brought them to life and kept them apart. I must, however, say that the quality of the recording isn't very good. As someone who's native language is not English, I occationally couldn't even make out what word it was, due to the low quality production. Absolutely, but the story gets better in the second book. I've finally gotten started on this series - and I can't wait to continue. I enjoy how Pratchett is playing around with fantasy clichés. The Discworld series is amazing. 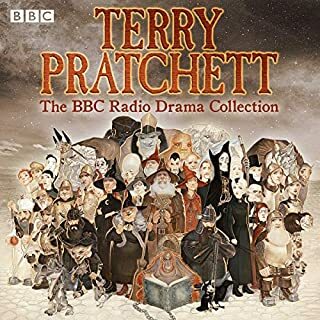 The dozens of books in the series can be daunting to tackle, but this first venture into the amazing world Pratchett has created stands on its own and can be enjoyed without ever moving on to any of the other books. Thankfully they found an excellent voice for the story in Nigel Planer, whose enthusiasm and changes in mannerisms from character to character give the story life. Well done. This is one film I won?t need to go an see - the book is so well read by Nigel Planer that it is almost as if I have seen the characters as they lurch from one adventure to the next. If you like fantasy with a good seasoning of humour, imagination and trickery, this is the book for you!